What is your Favorite YouTube TV Series? S9.E3 Oscars 2019 Review: Academy Award Awards! Real nerds talk real fights about real movies. Trailers that tell you the truth about your favorite Video Games: Honest Game Trailers. These are the trailers that game developers don't want you to see. An online show which creates top ten lists on just about everything. Each episode talks about trivia from a game or game franchise, and each episode is hosted by a guest. Kristian Harloff and Mark Ellis are just two regular schmoes talking about movies the way you and your pals do. A 2 minute sketch comedy made by a man named Thomas Ridgewell. Do you like movies? 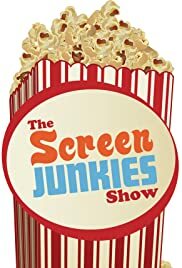 Then you will love "The Screen Junkies Show" and all segments of the Screen Junkies' work. I can't wait to see anything this team comes up with and shares. It's organized, fun and helpful. The premise is simple and the topics are always interesting. It's the best possible way to get yourself entertained and learn a couple of things at the same time. In a variety of subjects that the show is presenting, you'll find discussions on great movies of the previous years and decades, and also opinions and news on movies about to come. Among others, you will also find episodes where trailers of new movies are explained, top-ten lists, easter-eggs in movies presented and (personal favorite) "How to Fix" discussions on blockbusters and franchises that have taken a wrong turn and arguments on how to make better the next film. And that is just the tip of the iceberg. The show keeps coming up with new talks and segments every time. Hal Rudnick as the host is awesome and funny, as are all the guests. Hope this show will never end! Have fun watching it every Thursday night!